In post on Facebook, he said he was "taking some time off to do things I enjoy outside of technology". In his statement Mr Koum said: "It's been almost a decade since Brian [Acton] and I started WhatsApp, and it's been an amazing journey with some of the best people. The team is stronger than ever and it'll continue to do amazing things... And I'll still be cheering WhatsApp on - just from the outside." Stanford alumnus Brian Acton and Ukrainian immigrant Mr Koum co-founded WhatsApp in 2009, before selling it to Facebook in 2014 for $19bn (£13.8bn). Facebook chief executive Mark Zuckerberg commented on Mr Koum's post, saying he was grateful for what Koum taught him about encryption "and its ability to take power from centralized systems and put it back in people's hands." WhatsApp. Wonderful, wonderful, WhatsApp. The messaging service that made BBM look boring and text messages redundant. Of course there are now heaps of messaging services around, but WhatsApp has had a massive head start on almost all of them, meaning it has tonnes of features. You can read all about what it is and how it works in our WhatsApp feature, but for those who already know the beauty of the service, here are some secret tips you might not know about. Those blue ticks can get you in a whole world of trouble, especially when you don't reply instantly and someone sees you have read their messages. You can turn them off, but it's worth noting that if you do, you won't get read receipts for your messages either. Apple users: If you get Siri to read the message, the blue ticks won't appear so this could be a good way to read a message without the sender knowing you have. Sometimes certain words need more emphasis and shouty caps just isn't going to cut it. Don't worry, WhatsApp allows you to make whichever words or phrases you want bold, italic, or strikethrough them altogether. If you're prone to forgetting dates mentioned in various chats, it's possible to automatically create an event directly from WhatsApp on iOS. If you've got a limited data allowance, you don't want WhatsApp munching it all away. Thankfully, you can customise when media is allowed to download, as well as ensure calls use as little data as possible. Ever passed your phone to a friend and instantly panicked about the messages they might see come through? Yeah, we haven't either. For those that have, you can turn off message preview on iOS so only the contact's name will appear, rather than their life story, or you can turn off notifications altogether. In Android, it's not possible through the WhatsApp app but you can stop private information showing up on your lock screen in Android itself. You might not want everyone to see your profile picture, especially if you're part of several groups where you don't know everyone in the group. Or perhaps you just fancy being a little mysterious for the day. Either way, you can choose if everyone, no-one, or only your contacts see your picture. Some messages are more important than others. Whether it's a date you need to remember, or a good restaurant you've been recommended. It's possible to bookmark these messages and find them all easily in the Starred Messages section. You can send a broadcast message to a list of contacts with it appearing as though you've asked them individually. Great for saving time, terrible if they all reply yes. There is nothing more annoying than seeing those blue ticks appear without a reply following soon after. If you want to torture yourself a little more and find out when your message was actually read and how long you've been ignored for, you can. We don't advise it though. There might be certain contacts you want to know instantly if they are calling or messaging you. To make sure they don't blend into the crowd, you can change their specific alert tones so you recognise when that particular person has sent you a message or is WhatsApp calling you. Day by day, life keep becoming easier as now you can now recharge your phone from your bank account at the comfort of your bedroom or while on a journey in Sahara desert. This recharge method is real for those that think it’s fake and a lot of people have started using it so don’t think it’s fake or that it was made for a specific category of people. Using this is so good as no extra charge will be credited from your account while you recharge. 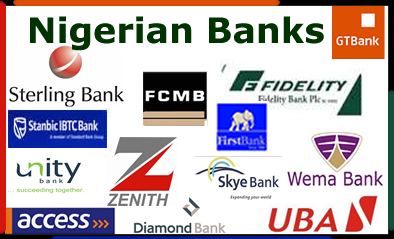 This modern trend is done by all banks in Nigeria except Microfinance banks so don’t think that the bank you are banking with is not included unless if you are banking with a Microfinance bank. You must have up-to the amount you want to recharge in your bank account balance. You can only use this recharge method with the number you registered while opening your bank account. Example: Dial *901*2000# then N2000 will be deducted from your bank account and credited into your phone….. Simple right??? Let’s see how to do it in other banks. Example: Dial *737*600# then, N600 will be deducted from your bank account balance and credited into your phone. Example: Dial 8942000# then, N2000 will be deducted from your bank account balance and credited into your phone. Example: Dial *770*500# then N500 will be deducted from your bank account balance and credited into your phone. Example: Dial *882*1000# then, N1000 will be automatically deducted from your bank account balance and credited into your phone. Example: Dial *322*241*500# then, N500 will be automatically deducted from your bank account balance and credited into your phone. you’ll be recharged with N500 and N500 will be deducted from your bank account. Example: To Recharge N1,000 simply dial *322030*1000# and your line will be credited with N1000. Example: To top up your line with N500 dial *322082*500#. You will be credited with N500 airtime while N500 will be deducted from your account. The minimum is N100 while the maximum is N3,000. Just Dial *833*amount# on your phone. Example: To recharge N1,000 dial *833*1000#, you will be credited with N1000 airtime and N1,000 will be deducted from your bank account. Example: To recharge N1000, simply dial *909*1000# and you will be credited with N1000 airtime while N1000 will be deducted from your bank account. Example: To recharge N500 on your line dial 3890331500# your line will be credited with N500 airtime and N500 will be deducted from your bank account. Example: To recharge N1,000 dial *322215*1000# and you will be credited with N1,000 airtime and N1,000 will be deducted from your account. Zenith bank users can increase their airtime balance by dialing *966*amount# or *302*amount# for Mtn users. Example: To recharge a sum of N500, simply dial 966500# and your line will be credited with N500 airtime. If your bank is not listed here, you can comment the name of your bank and I will get you the code as soon as possible. We hope this article helped you, do not be selfish, Kindly Share this post using the Share buttons below. Having Problem? Am here to help, Just comment below and i would reply ASAP. Do you know you can get as much as 1GB data for just #100? Well, just pray your sim is eligible for this because its not for every glo sim but just give it a try and you might be lucky to get the offer. Follow the below steps to get this awoof data from glo network. Step 1: if you wish to enjoy this bonus data from Glo, you must have N100 or more on your Glo line. Step 2: Now, you will have to SMS the keyword “1” to 8070 or if you have received a message from Glo that you are qualify for the offer, kindly go back to the message you received earlier and reply with 1.
this “Dear Customer, your 1 GB data bundle has been successfully activated. 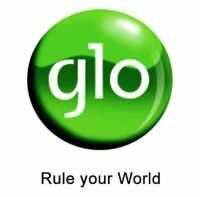 NOTE: Glo is giving some people less than one gigabyte. tariff plan to PAYU or Glo Bounce and retry. Send PAYU to 127 to change tariff plan to Glo PAYU. Remember to download and use our android app HERE to check recent updates on this blog. If you are currently rocking this data plan, kindly let us know via the comment section.